Take a walk down Morrisons Market Street and check out the freshly prepared bargains to save you money this week. We’re going for the half price salmon fillet. Now at £6.49, the supermarkets academy-trained fishmongers will prepare the fish ready to cook, which is brilliant. Also on offer are the Boneless Salmon, Cod and Haddock portions. Priced at 2 for £3, they are incredible value. There are plenty of deals to be had so head down to your local branch or click here. 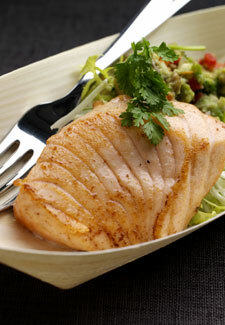 And for a dinner idea, you could use these boneless portions in our Salmon Fishcake recipe.